While money is as good a reason as it gets to save energy, other equally attractive reasons make this effort imperative in the long term. Some of these are related to core issues like global warming, depletion of the earth's resources, pollution, etc., that arise from extensive consumption of fossil fuels and directly affect the lives of all of us. 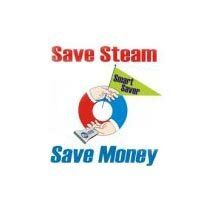 Steam accounts for the major source of industrial energy in many industries. In process heating, more than 60%of thermal energy used is in the form of steam. Because of the ever increasing costs of energy, and because conservation of energy in all forms is imperative, we must seek to understand better and improve the process and energy conservation products by which we generate and use steam. Fuel saving/steam saving opportunities can be significant because companies can identify and implement multiple system improvements, which could collectively yield savings of 10 to 15% in many cases, with a general project payback period of less than 2 years. Identify properties of the steam system - temperature, pressure, saturation, and other properties. Evaluate boiler efficiency blow-down rate and heat recovery opportunities, feed-water condition, flue gas composition and temperature. Investigate energy losses in the steam distribution system steam leaks, trap losses, condensate losses, insulation losses, flash steam losses. Assess opportunities for reducing distribution losses - stop all leaks, introduce a trap management system, install condensate return systems, invest in better insulation, recover and use flash steam.